At long last, the full-length trailer for the first installment of director Francis Lawrence’s conclusion to the Hunger Games franchise has been released. Lionsgate has been playing this entire series close to the chest after the first film became somewhat of a phenomenon simply because it knows what it has on its hands. At this point, people are going to show up to this no matter if they've seen a trailer or not and so we get glimpses of what is to come, but not a marketing onslaught that wears us out before the final product arrives (take note, Sony). Having read all three of Suzanne Collins' books on which these films are based I found "Mockingjay" to be the least satisfying which has always made me weary of the film adaptation yet Lawrence took "Catching Fire" (my favorite reading experience of the series) and made it a much better film that the initial installment giving me hope for what he might do with the conclusion of this story. It was inevitable that the studio would split the final book into two features (despite the book length being about the same as the first two) and with this first real look at footage from the first half of the finale it looks like Lawrence has taken the themes of what this world of districts represents and has turned the emotional repercussions up to eleven. The book did take some interesting avenues with the characters though and naturally I look forward to seeing those play out on the big screen. It also looks like Gale will finally get his due after being heavily sidelined in the first two films, only building to a more emotional ending than we might be ready to handle. here's hoping it actually gets to us that much, signaling some real depth in blockbuster filmmaking. The Hunger Games: Mockingjay – Part 1 stars Jennifer Lawrence, Josh Hutcherson, Liam Hemsworth, Woody Harrelson, Julianne Moore, Philip Seymour Hoffman, Elizabeth Banks, Jena Malone, Sam Claflin, Jeffrey Wright, Stanley Tucci, Natalie Dormer, Donald Sutherland and opens in theaters on November 21st. 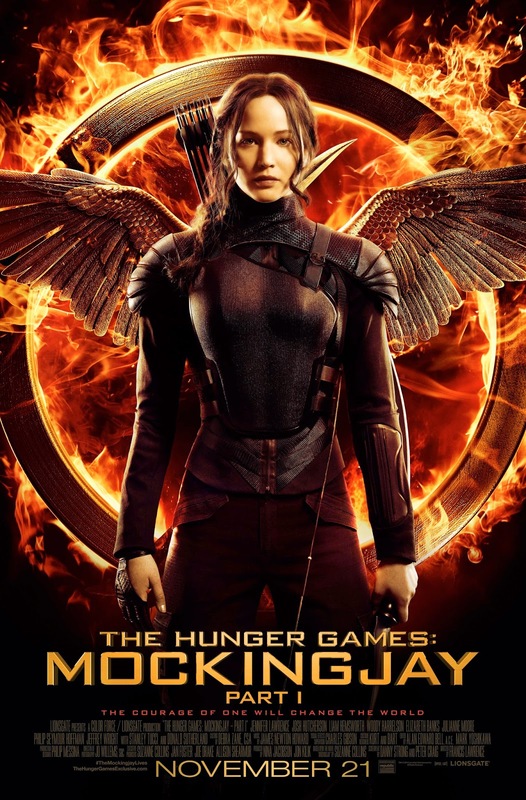 Synopsis: The worldwide phenomenon of The Hunger Games continues to set the world on fire with The Hunger Games: Mockingjay – Part 1, which finds Katniss Everdeen (Jennifer Lawrence) in District 13 after she literally shatters the games forever. Under the leadership of President Coin (Julianne Moore) and the advice of her trusted friends, Katniss spreads her wings as she fights to save Peeta (Josh Hutcherson) and a nation moved by her courage. 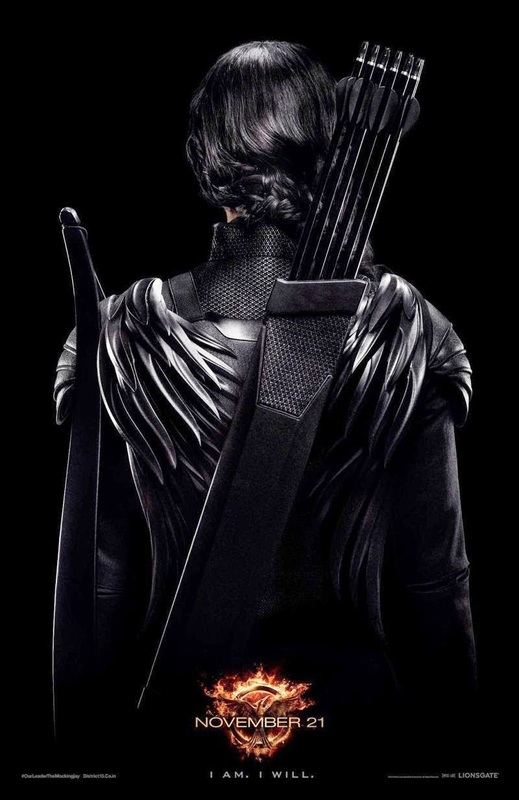 The Hunger Games: Mockingjay – Part 1 is directed by Francis Lawrence from a screenplay by Danny Strong and Peter Craig and produced by Nina Jacobson’s Color Force in tandem with producer Jon Kilik. The novel on which the film is based is the third in a trilogy written by Suzanne Collins that has over 65 million copies in print in the U.S. alone.